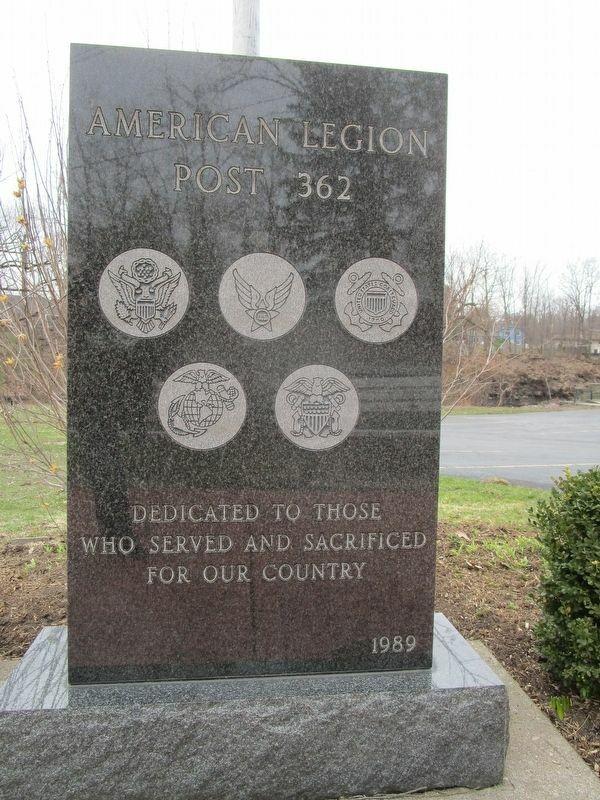 Erected 1989 by American Legion Post 362. Location. 42° 45.475′ N, 78° 37.409′ W. Marker is in East Aurora, New York, in Erie County. Marker can be reached from the intersection of Legion Drive and Center Street. Touch for map. 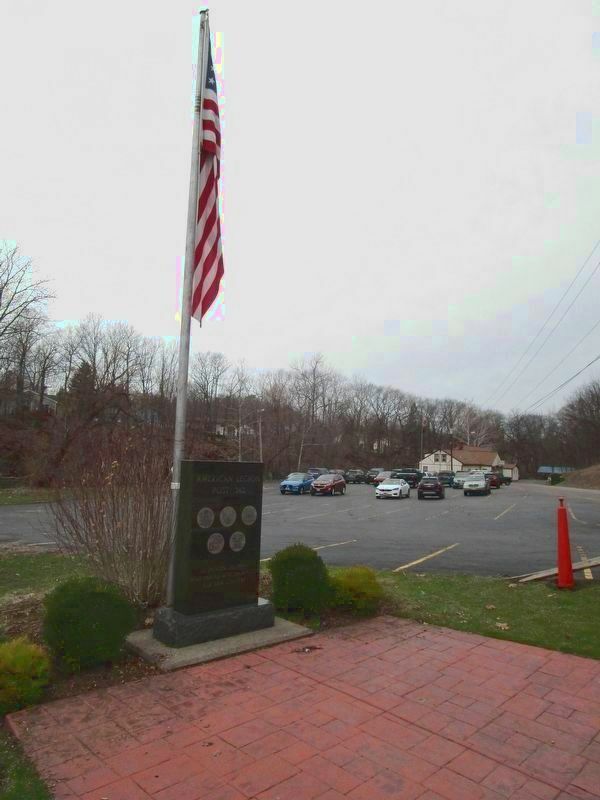 Marker is in this post office area: East Aurora NY 14052, United States of America. Touch for directions. Other nearby markers. At least 8 other markers are within walking distance of this marker. Republic F-84 (within shouting distance of this marker); UH-1 Helicopter (within shouting distance of this marker); a different marker also named Dedicated to Those Who Served (within shouting distance of this marker); Baker Memorial United Methodist Church (approx. 0.7 miles away); The Middle Road (approx. 0.7 miles away); The Roycroft Shops (approx. ¾ mile away); Elbert Hubbard / Michelangelo (approx. ¾ mile away); Millard Fillmore House (approx. ¾ mile away). Touch for a list and map of all markers in East Aurora. Credits. This page was last revised on April 10, 2019. This page originally submitted on April 10, 2019, by Anton Schwarzmueller of Wilson, New York. This page has been viewed 30 times since then. Photos: 1, 2. submitted on April 10, 2019, by Anton Schwarzmueller of Wilson, New York.